I am a PhD student at the University of Illinois at Urbana-Champaign. I earned my B.S. 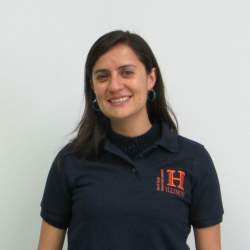 in Civil Engineering from the University of Cuenca-Ecuador (2007), and a M.S in Civil Engineering (2011) from the University of Illinois at Urbana-Champaign. During my M.S. I completed my thesis on the hydrologic and hydraulic model of the first deep tunnel system in Chicago. My research interest is urban hydrology and hydraulics; especially I am interested in modeling the coupling between sewer systems and river networks. In particular the interaction between hydrodynamics and water quality.